In short, it’s basically a model for learning. Sprinting fast is all about muscle memory, and the four stages of competence model represents the process you must do to achieve it. Amateurs practice and practice until they get it right. Professionals practice and practice until they can’t get it wrong. This is why I still do drills, especially the Mach Drills. To read more about Gerard Mach drills, click here. 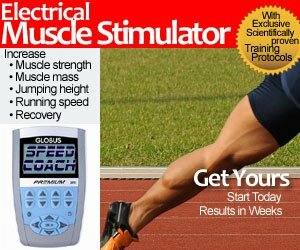 If you haven’t read Loren Seagrave – Neuro-Biomechanics of Maximum Velocity (Part 1), you should . You can read Part 2 here. The athlete is not thinking because they have never been told to think about anything, and is not very good at new skills. He said that he tells the football players that it is better to look foolish in front of your teammates in practice and get better at the skills than to get embarrassed on Sunday in front of 80,000 people and a TV audience! In this stage, the coach must convince the athlete to lose the inhibitions to looking foolish. The athlete knows what to do but has not mastered the skill; they consciously try to execute it, but are not very good at it yet. 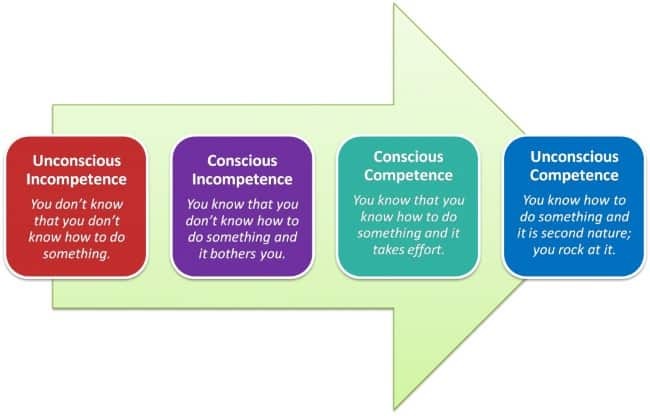 Athletes very quickly progress to conscious competence, where they are skilled but only with conscious effort; they cannot do it automatically and mindlessly. In this stage, unconscious action returns one to previous bad habits. The example Seagrave gave was someone trained in the martial arts would, when confronted by an attacker, most likely revert to ugly, unskilled fighting habits when in this 3rd stage. The skill is automatic and performed perfectly with no conscious effort. Attainment of this level takes not only practice, but mental imagery and rehearsal. It can take up to 500 hours of practice to achieve unconscious competence with a skill! The last line from the above paragraph probably stands out, as we all think it’s the 10,000 hour rule that needs to be the norm. NOTE: Read Lee Ness’ article on Has the 10,000 hour “Rule” been Debunked?